Lin-Manuel Miranda, the writer, composer, and star of the deliriously successful Broadway musical Hamilton, is really nailing this “don’t take yourself too seriously” thing. In the days since his creation took home a Grammy for Best Musical Theater Album, the self-effacing Miranda has been expanding his musical horizons in bizarre and unexpected ways. Over the weekend, for instance, he tweeted about one of his very earliest compositions: “The Garbage Pail Kids Are In Town,” a tender ode to the gross-out trading card series, created in the mid-1980s for Topps by artist Art Spiegelman, later of Maus fame. This is the first recorded song I ever wrote. I was about four years old. I found it on the back of a Fisher Price cassette. 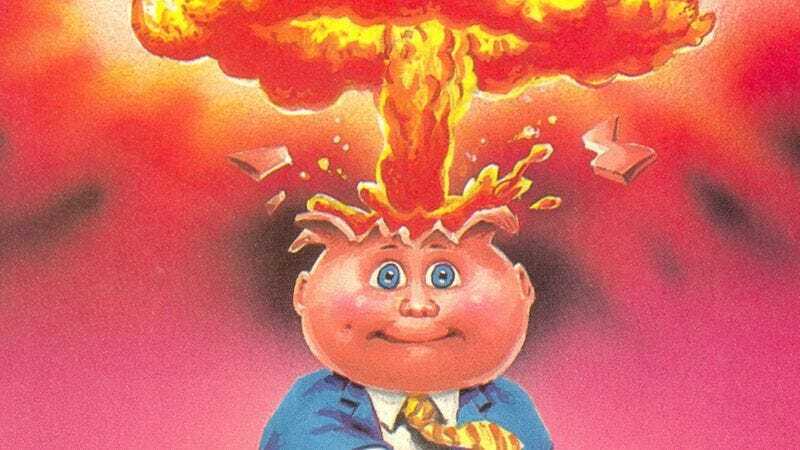 It’s called “The Garbage Pail Kids Are In Town.” It goes on for another six minutes but then it becomes a haunting snapshot of one child’s descent into loneliness and madness, so I cut it off after about three minutes.